As you know, this year we are going to produce our Red Dot shortlist by early June -- rather than early November. Please recommend books to us using the form below. Alternatively, click here to join our Red Dot Nominations Group in GoodReads and put books on the Group bookshelves. This same information is on the Red Dot website under the "2015-2016 Longlists" tab. If you're interested in being on the Red Dot committee, please contact Katie Day (katie.apppleton.day@gmail.com) as soon as possible. It's almost the end of March, which means the next two months will be solid reading time, in order to have lists ready in early June. Last Saturday, March 14, there was a morning and an afternoon opportunity for professional development. 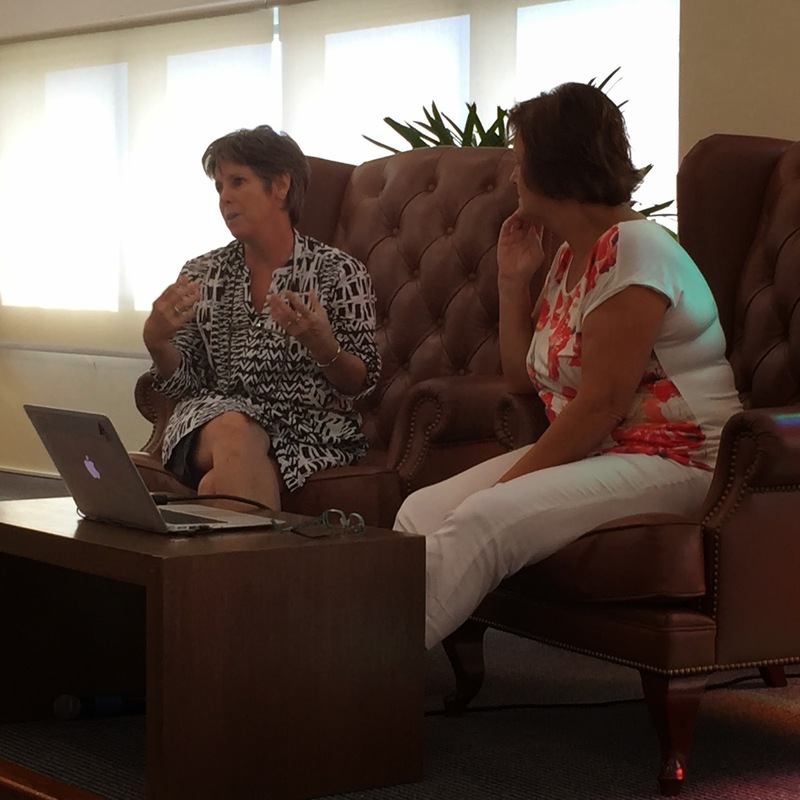 The inaugural TeachUp event, held at UWCSEA East, included two sessions by librarians. Then we had our Librarian's Leisurely Lunch, a smaller group, with three sessions -- or focused conversations. We all enjoyed the chance to talk over food and wine -- and we'd like to have something similar next year. To be discussed at the upcoming AGM/meeting -- at Tanglin, Senior Library, 4:00 for 4:30 start on Monday, April 27th. 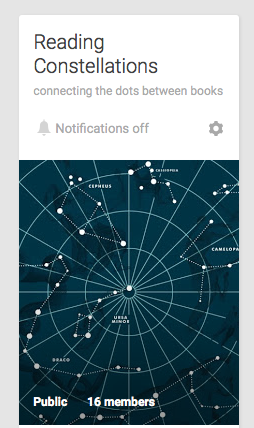 FYI: Angie and I ended our talk by inviting people to contribute to a new Google+ Community called "Reading Constellations" -- which you are all welcome to join. We're interested in crowd-sourcing pairs or small bundles of books that you like to recommend to students - for whatever oblique connection. E.g., I just posted re "Liar" by Justine Larbastier and "We were Liars" by E. Lockhart under the heading "Lies and terrible family secrets," and Angie recommends pairing "To Kill a Mockingbird" with "Jasper Jones" by Craig Silvey under the heading "Discrimination and crime and coming-of-age". I think of these constellations as micro-lists, where titles linked by a common Subject Heading are like macro-lists, and the kinds of lists our library systems let us create (e.g., Resource Lists in Destiny) are mini-lists. Click here for a Google Doc outlining all the information about the Readers' Cup competition, being held on May 21st this year -- at the Singapore American School. As we're always learning and experimenting -- striving for the best experience for all our students -- each year we change a few things. The rubrics for the book trailer and the book cover contests are in the Google Doc linked above. Register each of your teams here before 30th April. The cost is $60 per team, to be paid on or before May 21. Teams may be made up of students below the category range, but not above. 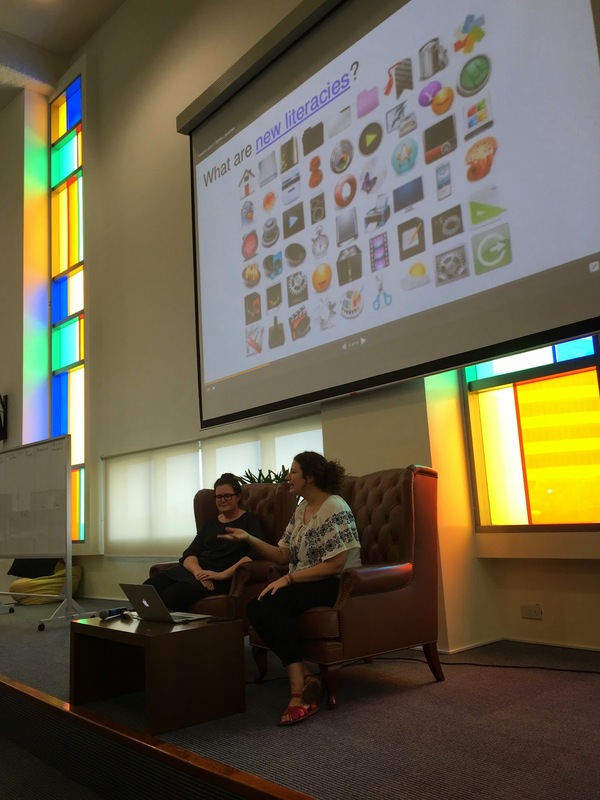 Remember: all information can be found on the Readers Cup page of the Red Dot website -- and will be reiterated at the AGM on Monday, April 27th, at Tanglin Trust School. Questions? Contact Barb Reid (bre@uwcsea.edu.sg), the chair of the Readers Cup Committee. Update on this Saturday afternoon's professional development opportunity at the UWCSEA East campus (12:30 - 3:00 in the Secondary Library -- after the TeachUp event). Feel free to invite your digital literacy coaches and literacy coaches.... or any other educator who may be interested. You may have heard from your school PD person about TeachUp 2015 -- a new mini conference here in Singapore. It's an initiative of the international school PD network and the event will rotate throughout the different schools. UWC East in Tampines is hosting the first one. It's on Saturday morning, March 14th, 9am-12pm, cheap (cost = $25), with a peer-to-peer format (teachers sharing with other teachers), in 25 min sessions. Please consider attending and/or presenting. As it's at our campus, Barb Reid and I want to host a librarian PD event in the afternoon on the same day: lunch and some whole-group professional conversations to be held in the secondary library -- from 12:30 - 3:00 pm. The ISLN Executive Committee is willing to be a partial sponsor, such that a nicely catered lunch complete with wine will cost our members just $10. We're proposing 3 conversation-sessions: one focused on Information Literacy (inquiry, non-fiction, etc. ), one on Literature/ Literacy (fiction, reading programs, etc. ), and one on Digital Literacy (technology). For example, Kim Beeman from Shrewsbury Int'l School in Bangkok (who just hosted the Librarians' Knowledge Sharing Workshop that we UWC librarians and Jo from GESS attended) is coming to Singapore for the March 14th TeachUp -- and plans to tour some of our school libraries on the Friday before. Also visiting will be Karen Blumberg, the Tech Integrator at the laboratory school at Columbia Univ. in NYC. So we have asked the two of them to lead the Digital Literacy conversation. We have some ideas of other people for the other two conversations, but we will also be looking at the bank of possible professional development presentations by our members. We know it's short notice, but we hope some of you will be able to come. We only need to know numbers for catering purposes. The costs are minimal and the format will work for 10 people as easily as 30 people. The voting begins today -- and will continue until May 1st. NOTE: In the past we have assigned codes to schools -- to help prevent random people from submitting votes -- but this year we just ask students for the name of their librarian on the form. I think that provides enough of a check.